THE COMPLETE VIDEO TUTORIAL THAT WILL TEACH YOU HOW TO SAFELY TUNE YOUR OWN PIANO! 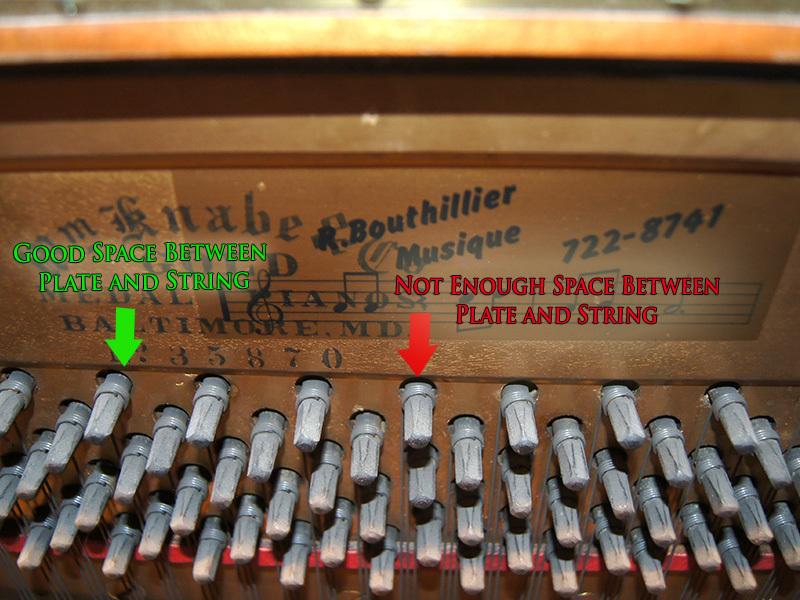 At last, a professional piano tuner reveals the secrets of piano tuning. Start saving money by performing touchups yourself between your tuner's visits! Want to tune your own piano? Tired of searching how to tune a piano on the web for weeks to find only partial, fragmented and often misleading information? Fed up with fake formations (eBooks)? You’re passionate about piano and it really bothers you to hear an out of tuned piano? If you had the financial means, you’d call your piano tuner every three months? Want to save loads of money? Want to start a new business and be your own boss? Just imagine the privilege of being able to touch-up pianos that you didn’t chose for your public representations! Learning how to tune a piano yourself is possible! Especially when you have a professional that follows you step by step. This is exactly what PianoTuningHowTo offers you! I've been tuning pianos for more than 35 years. I know how frustrating it could be to spend thousands of dollars on piano tuning formations and/or to find so called "specialists" that garanty miracle results but fail to deliver. Offers on the Internet abound but the fact remains: the glaring lack of seriousness and competence often encountered. Especially those that offer you to learn piano tuning with an eBook as sole support! To hear and understand the different acoustic phenomena involved in piano tuning, it is imperative that the sound and recording of the tutorial be nothing less than perfect. I've seen too many incompetent tuners in my career and with this tutorial, I want to contribute to unmask this incompetency. The base on which piano tuning rely is the mastery of gestures associated with the practice. These gestures and movements are virtually impossible to demonstrate only in words. Even illustrations are sometimes insufficient. "The piano tuner profession can not be learned other than with a specialist who follows you step by step." You will learn how to tune your own piano risk free. You will learn how to set the tuning pin for a stable tuning. Your tuning will be more stable thanks to a proper tuning lever manipulation. You'll understand the forces involved to raise a piano up to tuning standard with only two tunings. You'll know enough to teach your current piano tuner what he still fails to know. You will have a strong enough base to foresee the possibility of a career. With the help of MultiMedia, everything will finally be clearer to you! You'll know if your present tuner is competent or not. Finally, your knowledge will put you in an advantageous position to better express your expectations to your tuner. with methods not supported by any theory. that will support the final practice. Each of the 5 videos contains well organized specific chapters. They share the 11 chapters total. This 150 pages eBook transcript is easy to print and carry with you anywhere even on your mobile device. The complete MP3 audio transcript file you can listen anywhere or while driving your car for example. If you act NOW, you will get this “PIANO TUNING” book for FREE. A simple and accurate method for amateurs from J. Cree Fisher that will help you further. You can buy with confidence, I got you covered! 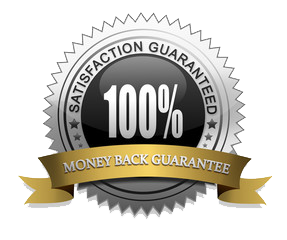 I am confident you will love this tutorial like everybody else that bought it before you but if for any reason, this product does not meet your expectations, within 30 day I will refund your money no questions asked. You’ll find out that nothing is left unanswered. Everything is covered to give you a solid base. This tutorial is design to bring your from point A to point B without omitting anything. I don’t believe at the approach of keeping silent the theoretical part in making you believe that piano tuning is easy and just technical. This attitude doesn’t service anyone. Neither you and certainly not the “expert” who delivers it. There is an interesting theoretical knowledge that you must assimilate to eliminate any insecurity facing the piano tuner trade. Rest assured, I am good at transmitting the knowledge. I am very curious by nature and science always fascinated me. You will see, I shall convey this passion to you and together, we will have fun! So don’t be surprised if I teach you how to silently close a door as an example! “Hi, I’ve taken the course in my home and I’ve learn more in 3 hours than since 1 year and a half learning by myself! ” Mario is really passionate and answer all questions. A must for anyone who wants a solid foundation. Again, thank you Mario. Is it OK if I'm a complete beginner? Although this tutorial is quite advanced, it is mainly geared towards the complete beginners. Why do you say "it is quite an advance training"? Because I don't believe in "stripped off" teaching. Because I respect you, nothing is left unanswered. What are the qualities needed? Does this training include tools? No but on the piano tuning tools page of this site, you will find the basic tools you need to start. This training comes with 5 videos but it is also bundled with an easy to read eBook you can read while in a waiting room for example. It even comes with an MP3 audio file you can carry and listen to the complete tutorial while driving your car. 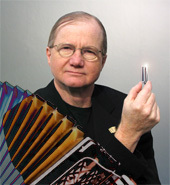 Not to mention this other FREE bonus eBook on piano tuning by a famous technician. When will I receive my tutorial? INSTANT ACCESS! As soon your payment on secure server is completed, you will receive a confirmation with a link to the download page. Since the tutorial is downloaded to your machine, you will have 7/24 access so you can learn at your own pace. I charge $105US but as an apprentice, you might want to lower your rates to something like $70US at the beginning. Once you reach a good understanding of the trade and your skills are up to standard then you can charge as much as I do. Don't forget to charge more if there the client is at an hour drive from your business. I don't believe you can honestly tune more than 4 pianos/day but figure it out by yourself, 4 X $70 = $280US/day is NOT bad! This all depends on you abilities and talent. Generally in the first year, you WILL NOT charge anything to tune your friend's piano or the Church Hall piano. People are kind enough to let you "practice" on their beloved piano so charging them a fee on top make no sense. You can accept tips though! As a PianoTuningHowTo customer, you will have FREE access to privileged support. I answer all questions. Use the comment form bellow to ask me anything, I usually respond within 24h max. It's like having a distant private teacher at your disposal! Order now and contribute to harmony in the Universe by tuning a piano today. thank you for your profund work. Teaching the impact tuning method seems to me the best, the one and only way to handle the pins in the pinblock. I didn’t watch every minute of your videos until now, but I miss more detailed practical exercise instruction video how to push the lever with my hand/palm/fingers, not only for upright piano but for grand piano too. I am a bit disappointed for there is no more instruction for that in your videos than in your free youtube video which is to me really the essence of your work. But I realized you do it with a free wrist and an all over good posture – very convincing. I am also a teacher of F.M. Alexander technique so I estimate good use of myself and the tools. I am a violinist in Hamburg Germany playing with Kent Nagano who is in Montreal too. I like tuning our upright Hoffmann and our Steinway B myself since nearly 30 years with ETD, with better and better results. From beginning I was aware of never bending but only turning the pins, but my turning was too slow. I realized late but not too late how valuable for best sound totally pure unisons are. I used Tunelab and Entropy tuner but now prefer Easy Piano Tuner, (Android) which is simple and gives very good results. I can really recommend Easy Piano Tuner for anybody who does not completely tune aurally. The Peterson IStroboSoft you recommend doesn’t calculate any inharmonycity or stretch, right? Some weeks ago I bought Jahn carbon tuning hammer with extra extension and Mahagony ball, working much easier than my standard tools before. The pure impact tuning method is still quite new for me but totally convincing, pure unisons and permanent. I would like to thank you for you emphasizing, making better known and teaching this method. Thanks for your kind words and input to my piano tuning tutorial. I started tuning pianos with the inertia method like everybody but soon shifted to the impact method without being totally conscious of the switch at first. The switch from inertia to impact method came naturally. It is only in Vienna when I did my training that Sibin Slatzkovick presented me with a ball handle tuning lever upon noticing my impact type tuning lever manipulation. Yes indeed, unisons can be tuned but can also be perfectly tuned. There is a big difference. Tuning beatless is NOT the only goal a piano tuner should aim at. You have to take into consideration the timbre change that occur when a unison is PERFECT and nothing less thant PERFECT! I am glad you did grasp this notion. You’re right, iStroboSoft from Peterson does NOT calculate inharmonycity or stretch but you don’t need this feature. This is all done by ear! The stretch will occur naturally if you do TUNE OCTAVES BEATLESS. Carbon tuning hammers are the best for precision and comfort. I wish you the best of fun tuning pianos with the impact method. Few days ago I came to tune a friend’s old Danish upright piano. My experience was that nearly every pin was unusually loose, I never had a piano like that before. All my intentions were to maintain the pure impact method. But especially in the treble even the tiniest impacts to tune down were too much, and I’ve always overstepped the exact point. In this situation, I felt forced to return to the inertia method. I feel we all have to learn what is really working in a new situation. What are you doing when handling with very loose pins? Any advice? My take on this matter is that if the impact method don’t work on a situation of too loose pins, you need to address the tightness of the pins. You have to check if there is enough space between the plate and the string coil around the pin. If there is enough space, you can punch the pin further inside the pinblock to tighten the pin. We’ve just completed an overall configuration change in both the website and server, hence this error message. Volevo chiedere quanto costa il corso completo in EURO. Ciao, grazie per il tuo commento. Il corso completo è di 205 €, ma nota che è disponibile in inglese e in francese troppo.